I got an email from a parent who is working with a new Friends Of group that is trying to encourage local parents to consider Shoesmith Elementary in Hyde Park. I’m not complaining, I’m just commenting on the patterns of enrollment I’ve seen where a school goes from under enrolled to jam-packed within about 4 years. If you have any other schools with new Friends Of groups, feel free to post information here. Or if you have any thoughts on what was worked (or not) in trying to build attendance at a local schools, please share….. 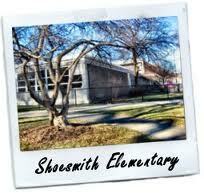 I wanted to send you a flyer for our neighborhood school, Shoesmith Elementary. I recently joined a group called Friends of Shoesmith and we are making efforts to reform and revitalize this neighborhood school in hopes of making it a viable option for folks in Hyde Park (sort of inspired by the “How to Walk to School” Jaquiline Edelberg movement). The school has a new principal and new administration and has decent test scores that have vastly improved in the past decade. The situation looks hopeful. The Open House is this Tuesday, November 29th, from 9:00 – 10:30. Applying to High School – info session	Good News! School Closings! As a neighborhood school parent, I know how important the “friends of” groups are. It’s so important to get that extra funding. However, I have a different suggestion. I wonder if parents could push for an IG program or other selective element. I know Lincoln’s IG (formerly IB) program helped keep it stable through many years. I think South Loop’s former RGC helped it thrive, too. And Oscar Mayer’s Montessori program totally turned that school into a much-sought-after neighborhood school. Just a thought. It’s often said on this board that Southside parents don’t have enough selective/magnet options. That could be one way to go. Of course, it’s probably easier to do marketing and PR than to get CPS to help create another SE or magnet program! But it’s worth asking about. CPSobsessessed, you mentioned Alcott asked for $1200, but actually it was $2400. They also opened a high school – an attractive concept possibly meant as a draw? I wish you the best. I’ve thought Shoesmith could be a great school and hoped it would be an acceptable choice for my kids (it’s right down the street… my kids go to another CPS school). What discouraged me from trying to “fix” Shoesmith was what I perceived to be the overwhelming effort… being unimpressed by the teachers I saw with the kids on the playground (very limited, I know but seeing teachers on their iphones and gossiping & paying zero attention to kindergarteners rubbed me the wrong way), that so many families go to Lab/Ancona, and Shoesmith would only be the 1st “fix”(Cantor & Kenwood). I’m not trying to discourage the effort… I can think of at least 15 other kids in grades K-4 at other CPS schools (magnet/RGC/classical/charter) that are in the Shoesmith area, so you definitely have interested parents. If you’re up for the fight, God bless you! IG is International Gifted. Sometimes it’s just the upper grades (as in Lincoln has an IG that draws 6-8th graders from across the city) and sometimes it’s more open to the whole school. I think one of the key parts of success is having some parents who are the “leaders” of the effort who can build a bridge with a principal so that there is a sense of mutual trust rather than coming across as parents making demands. It can take a while to get to the point where a principal can take things as constructive criticism and not just criticism. “The goal is not to raise children to be great followers of rule and takers of direction. The goal is to get children to be independent and cooperative decision makers. They need to develop a sense of what rules are fair, an ability to decide what directions are helpful, and the confidence to know when to conform and when to challenge. I sometimes feel bad for my son being at school all day when he’s almost never allowed to talk to his buddies except for lunch and recess. It made me happy that our school expanded that time this year beyond a mere 20 minutes. I’ve noticed a few things in my years in CPS: first, school turnarounds depend on the principal. Not all principals want their schools to turn around (some are quite happy with the status quo), and not all principals want to deal with the fallout from parents and teachers. Second, the problem with some schools is the school. It is not a marketing problem, it is a real honest-to-goodness problem. For example, you cite recess, CPSObsessed. Well, if your teachers believe that open campus is akin to slavery, you’re not going to get a real recess. And if your teachers are close-minded and/or not very good, all the marketing in the world won’t change that. Third, parental support = fundraising. Parents who can afford to live with kids near Nettlehorst have money and connections. They live in one of the most expensive neighborhoods in the city. Once you get a little further out, you’re less likely to have parents who are friends with Nate Berkus, and it’s pointless to pretend otherwise. Race plays a role in Chicago. #8, I wonder if it might help you to write to Karen Lewis and/or go make an appointment to speak with her about how angry you are about her slavery comments. It obviously bothers you very much. I have noticed you bring it up about every third comment you make. If speaking or writing to Lewis isn’t an option, maybe therapy might help? This plan for re-invigorating a neighborhood school sounds great–good luck with it. A question for those on the Shoesmith committee– do you send your kids there? If you don’t, are you going to send your own kids there next year? Yes, totally agree, but poster #8 has brought up Lewis’s slavery comment at least a dozen or more times in the last month. It is completely annoying. No one likes Lewis. We all agree. But do so many posts have to refer to that comment? There are so many intriguing and thought provoking things to talk about in CPS. Surely people would prefer to talk about things like writer’s workshop or the huge changes coming with Common Core or the principal “bonus pay” or how CPS will be able to staff shortage areas like sped and bilingual after all the retirements this summer. Or are we just going to fixate on union/Lewis all.the.time? @12… great questions. I wonder if there is a target date for bringing new neighborhood kids? Is there a test score expectation, demographic goals, or anything else planned/dreamed of for the school? Also, are there any meetings or school events/open houses for the community & potential families to attend in the near future? Obviously, people do like Lewis. The teachers elected her. Many teachers support her. She is the public face of teachers in Chicago, and she’s the one who used the word “slavery” first. Furthermore, because Lewis represents the teachers, she is a force to be reckoned with, for good or for bad. We can discuss all sorts of things, but if CTU isn’t on board, nothing is going to change. So let me put it another way: if the teachers at a school support the CTU position that open campus is a gross imposition on their time, then you are not going to have real recess, and no marketing program in the world will change that. Regarding recess: what exactly are the teachers supposed to do while supervising? Children need to run and play with one another, not their teachers. I don’t think I would evaluate a school based on teachers ability to play on the playground. I think the key to these things, Nettlehorst included, is basically to ensure a predominately white student body. If you can do that then you can do wonders. Without it the white parents will continue to look for gifted options where they feel safer. It is sad but true. I am glad I don’t have to deal with this issue – we have a great neighborhood school down the street – but know that anyone who wants to do this needs to be part marketer/part racist/part pragmatist/part crazy to get it done. I hope for the day when it is no longer a black versus white scenario but a those that care versus those that don’t. As for watching teachers while on the playground supervising Muffy, Buffy and Bif Jr., surely you jest. Surely. Yes, let’s just leave the slavery comment as read. We all know it, we are familiar with it so you don’t need to bring it up again. Let’s just assume we will do it for you. Thanks much. Many insightful and inciteful comments on this thread. I won’t join the chorus of naysayers but I do agree it is a very difficult thing to do and goes way beyond “marketing”. First question: What does success look like? You mention Nettlehorst, but is that really your goal? What are the demographics of your school? As another poster pointed out, Nettlehorst is located in a very affluent neighborhood of college educated parents who value education. Very lofty goals and pie-in-the-sky dreams get in the way of the nuts and bolts things that need to happen right away. Sometimes many little victories can create a head wind for larger accomplishments. Getting off probation. Raising ISAT scores by X%. Plant a garden. Clearly numbered doors. Re-write the school’s mission statement to more closely reflect your aspirations, and then have discussions how to put into action. Have a car wash to raise money to send the eighth graders to Springfield. Write grants. If you are at a school with 75-90% free or reduced lunch, you can’t expect to hold a Spring Fling and make $75,000 on the silent auction. Never gonna happen. But there is alot of improvement that requires nothing more than time and elbo grease. OK, I’m not sure how this is going to go over, but since we’re talking about a Southside CPS neighborhood school, I want to point out a problem I’ve seen and heard about from other people. Like many Chicago parents with kids (ranging from infant to grade school) we spent LOTS of time at museums (Shedd, MS&I, Field, Adler, etc., …..). One thing that I have noticed is that the groups of field trip kids from the Southside/Westside schools are behaving like normal kids, no real issues worse than other school groups, BUT THE TEACHERS (and aids?) YELL (and sometimes scream) WAY TOO much. This is a total turn-off for me and seems to be indicative of how lower-income (and minority, especially) kids are dealt with by supposed educational professionals. God knows taking care of kids is a hard, hard, HARD task that can turn even the best of us into occasional raving maniacs at our worst moments of overwhelmed parenting. I have to use all my tricks (e.g., imagining that I’m being videoed live to an auditorium full of other juddgment-minded parents) to keep it together and try my best to maintain a “scream-free” household for the sake of my kids and to keep myself from feeling guilty and ashamed later on. However, I have no patience with screaming teachers. An occasional lapse is understandable (and maybe even effective –if a even cool-headed teacher is losing it, maybe it’s really time to settle down), but just as quasi-constant screaming and yelling is a lazy form of parenting, I believe screaming and yelling is a lazy form of teaching. Not to mention that teachers are doing a job that they’ve chosen for themselves –where’s the professionalism? I voluntarily tutored at a CPS elementary school in a tough neighborhood of the Southside years ago. There was lots of screaming and yelling –from the teachers, not the kids. The general atmosphere was one of too many adults running around like pi**ed-off, angry, overwhelmed amateurs (where’s the accountability?) rather than the calm, but assertive professionals middle-class parents expect from their kids teachers/other significant adult role-models. Friends and relatives tell me more of the same. I could go on, but I guess I’ve made my point. Am I the only one with this concern? @17 – don’t agree that a “predominately white student body” is key to a turn around. There are high performing predominately black schools gifted and neighborhood that do not support this assumption. Would it be nice in a diverse neighborhood like Hyde Park to have greater diversity within the school? Yeah, sure. @18 – I don’t assume that anything will “be done for us”. In fact K. Lewis and the union officially oppose every initiative created to support turnarounds, a lengthened school day and merit pay for performance. With all due respect CTU has positioned itself for the teachers (that’s a good thing for teachers, glad for it) yet against the restructure of the educational system that is so sorely needed (that’s bad for parents and their children who depend on public education). This hurts. Obviously her crass comments really stick with the public in a way that goes beyond dropping it. I agree that recess is “kid time” and teachers shouldn’t interfere. The kids need to learn to play, work/settle disputes/cooperate together without adults hovering. The issue I’m referring to is, while at the park with my kids, seeing Shoesmith kids wander quite a distance away from the recess area and teachers/teacher aides didn’t know it until another child told the teachers the boys were clear across the park next to Shoesmith, and still walking away from the school. I think the teachers should be aware of where the kids are, and not gossiping/texting/smart phoning while young students go off unattended. I don’t say this to be negative toward Shoesmith… I’d love to be able to send my kids there, but that was the limited impression I got of the faculty while at the park. 22 – What about the teachers who zone out because they are so “stressed” at recess and let the bullying continue right in front of them? I’ve witnessed that too many times to count. You are the adult, you need to stand up and tell those kids to “knock it off” and pass out detentions. Really. Yeah, that clearly isn’t cool. Although man, CPS playground time is so “unregulated”. I have to believe that at my school a couple kids could SO easily slip away if they put their minds to it. As another note, parents aren’t the best monitors either. my mom makes fun of the parents at my school peeking at their phones every 2 minutes (I am a guilty party.) And we had a good scare one day when 2 little girls wandered around the side of the building while parents were chatting. I did hear a story once about 2 kids at a nice northside school who managed to sneak out of the afterschool program and made it all the way to Lincoln Park Zoo. Gotta admire their moxie. But back to the original comment, the school should probably have 1 designated watcher each day to keep an eye on the kids to prevent escapees. @13 – Hey, some of us like Lewis. Pablo Casals Elementary School, 3501 W. Potomac Avenue, which has been on academic probation for 5 consecutive years. Melville W. Fuller Elementary School, 4214 S. Saint Lawrence Avenue, which has been on academic probation for 5 consecutive years. Theodore Herzl Elementary School, 3711 W. Douglas Blvd., which has been on academic probation for 5 consecutive years. Marquette Elementary School, 6550 S Richmond St., which has been on academic probation for 5 consecutive years. Brian Piccolo Elementary Specialty School, 1040 N Keeler Ave., which has been on academic probation for 5 consecutive years. Amos Alonzo Stagg Elementary School, 7424 S Morgan St., which has been on academic probation for 5 consecutive years. Chicago Vocational Career Academy (CVCA) High School, 2100 E 87th St., which has been on academic probation for10 consecutive years. Edward Tilden Career Community Academy High School, 4747 S Union Ave., which has been on academic probation for 8 consecutive years. Wendell Smith Elementary School, 744 E 103rd St., which has been on academic probation for 5 consecutive years. Carter G. Woodson South Elementary School, 4414 S Evans, which has been on academic probation for 5 consecutive years. 26 — If those schools are as bad as they sound, this is probabaly the best way to turn them around. That is so sad, but THANK GOD somebody’s doing SOMETHING for those kids. Per my previous discussions/diatribes, it is only a matter of time before certain parents (very likely aided by the CTU or certain stay-the-course, teacher union-friendly-hate-change-that-affects-paychecks-for-one-of-our-own interests) begin marching and demanding to “save their school”, “you can’t tell ME what’s best for MY children –I LOVE Mr. Smith down at my kid’s school”, “Who are YOU to tell ME what’s a good school or not…”. “My sister’s step-sister went there and now she’s in COLLEGE!! (remedial classes at Truman College, but ‘college’ nonetheless) –so how’s it a BAD school?! This is all part of a conspiracy to ‘keep us down’ since this is OUR school and ‘outsiders’ don’t get to tell me where to send my kids….”…etc., etc.,.. I grew up in the inner-city and heard many such protestations against changes to “our”…..fill in the blank. Certain people that feel as though they have been treated unfairly throughout history will feel like this is another form of forced power grab that’s out to help make somebody richer –the PRIVATE companies that run charter schools, etc. (??!! I know. I know). It’s important for CPS to stay the course in order to give those kids a better chance, despite whatever “destruction of public schools” Lewis speech she thinks up. I’ve heard/read similar things all my life. Certain people will “be true to their school” come Hell or High Water. Their kids won’t learn much, but somehow any objective determination that their kids’ school is lousy somehow is taken as a reflection of their neighborhood or THEMSELVES as parents for enrollinging their kids at such a school (as if they had a choice). People take this stuff personally as though the rest of the world is judging them by their kids’ enrollment district (I’m a GOOD parent, so how’s it a BAD school?). Let’s hope it all works out, but I’m not holding my breath. I mentioned this before, but this was what Brizard mentioned about the need for getting data into parents’ hands. Many of them (who don’t use the Internet to navigate CPS.edu) have no idea what their school’s scores are or that only 20% of the kids can read. I’m not saying that the parents of kids at these schools that are so low performing could interpret the new school report card, but how else does one judge a school? Frankly sometimes *I* wonder whether my son’s school is “good” or not. I have nothing to compare it to. The parents are great, the teachers are nice and care about the kids. But I don’t really know if the teaching is “good” or not. I would really be able to follow the progress of these schools more closely to see what works and what doesn’t. I see that Catalyst has a story about the turnaround of Marshall HS but I haven’t read it yet. I guess parents will be more excited about turnarounds than about the schools closings that seem imminent. Without that, all we’re left with is ISAT and PSAE scores, and we know that the ISAT data is deeply flawed. One of the reasons I get tired of hearing that “all it takes is parental involvement to turn around a school” is that some of the troubled schools have involved parents who love and support the school, maybe because they don’t know better or because they are just cockeyed optimists. As KLM said, we’ll be hearing from these parents very soon. And, as for Shoemaker, one thing to keep in mind is that many of the residents in Hyde Park are affiliated with U of C or the seminaries, so they are sophisticated about education. Junior faculty and grad students, who are less likely to be able to get their kids into Lab, are also likely to be moving around in their careers. They’ll want some assurance that their kids won’t be behind when they go to public school in Ann Arbor or Madison or Palo Alto. That being the case, the marketing/turnaround plan might want to talk about how the school curriculum matches national norms. Here’s another thought! Why not approach Lab School or U of C to actually HELP! I know it’s crazy. But maybe you could approach their School of Social Services to provide graduate students to get college credit for counseling students. That would help alleviate concerns of parents who might think lower-performing kids need social services. Then you could approach other divisions for assistance in different study areas. DePaul had some relationship with Prescott. Of course, it was probably in their teaching division. But I think there’s room to think outside the box. And in thinking outside the box, it would be FANTASTIC for U of C to say that they are giving back to the community in terms of public education when everyone is always commenting on how “nice” it must be to have the Lab School. In fact, the Lab School (I have friends there) is expanding in order to accommodate more students. They are doing this so that those students can help pay for those children of U of C faculty who get a free ride. That’s great. But what about the greater community? It’d be a HUGE PR move and selling point if your little neighborhood school could have the support, free teachers and free counselors from the University of Chicago. 31 – that idea is fantastic and makes sense. of course, it will never happen. . . CPS seems to find ways to sabotage great ideas like this. Thanks. Andrew Jackson, an already thriving school has a relationship with UIC getting teachers aids etc…I think it’s brilliant. @31, you mean like the University of Chicago Charter School? @34. Uh. Yeah. Nevermind. But WHY does it have to be in terms of a charter school? That’s too bad!! Part of the success at Lab school is that they are skimming off the best kids. The children have professors and scholars as parents. Those not affiliated with the University have political connections and money. Children from affluent homes are generally ahead of the curve when it comes to school readiness. I suspect that, even if public schools implemented the same curriculum as Lab and used the same or similiar quality teachers, you would still not get the same result. The peer effect is important. This is why the CPS plan to fire all the teachers won’t fix everything. This may need to be done to improve but it still doesn’t change the fact that children who attend schools with populations of concentrated poverty do not have as good of outcomes as those who attend largely middle class schools. The kids in middle class and upper class schools show up at school in kindergarten better prepared. Until we have a greater mix of SES (not race but socioeconomic status), kids in impoverished schools will still not perform as well as the kids at Lab. Thank-you. U of Chicago already HAS been involved and has tried to make a difference. The Sun Times or the Trib did an in-depth story about the school last year. I remember reading about a middle-class African-American mother moving from Naperville and enrolling her DC at the school, full of high hopes –it was a UNIVERSITY OF CHICAGO (as in one of the best institutions of higher learning in the world) charter school, so who wouldn’t be left impressed/hopeful by that? Long story short, the dysfunction and underperformance-related academics that so many other kids were bringing to the school made her take her kid out. Harvard could partner with a CPS school in a “disadvantaged” neighborhood on the Southside, but it doesn’t mean that the place magically becomes a “Harvard” of elementary schools, achievement-wise. If only it were that easy –I’m sure every repuputable university in America would partner with an underperforming public school with disadvantaged kids. As somebody that used to work in college admissions, believe me when I say that these kinds of colleges would just about kill for more competetive applicants to admit (and give financial aid to) from disadvantaged, inner-city backgrounds. I wasn’t going to weigh in, but now I feel compelled. Which U of C charter school? My kids attend North Kenwood Oakland (said with trepidation given obvious anti-charter sentiment percolating…). Honestly I don’t think one person’s impression is enough to discount a school altogether. Let’s face it we can’t judge whether a school is good or not unless our kids attend it. One has to see it up close and personal. And in case anyone is interested, I do think NKO is a good school–with great, committed teachers, a principal and the “private organization” running it is in fact the Urban Education Institute, a well-regarded organization that trains urban public school teachers. Doubt it’s gaining much of a profit. The kids at NKO, well, they seem pretty much like any other group of elementary school kids. The school gets good scores via CPS too. Finally, yes, my kids are white and they attend a 98% black school. Does anyone know if the schools got funding to improve when they were on probation? If CPS didn’t provide the same resources to the schools under the old management, I just don’t get why they fire everyone and then give the new managers a whole bunch of money to turn it all around. Doesn’t seem like a fair comparison. What am I missing? Your points are right on. I don’t think that most middle-class people have any idea about how bad some (now I did NOT say all) inner-city schools are in terms of negative institutional and social norms. As by now I’m sure everybody is sick of hearing, I went to inner-city public schools K-8. The worst thing to be was “smart”. Us “smart” kids were the objects of ridicule and bullying. Yes, it seems like an Urban Legend, but among a subset of inner-city kids, it was/IS a bad thing to get good grades and not cause problems for the teachers (“Acting White” for black kids, “Acting Stuck UP” among lower-class whites [White Trash]). I had “smart” friends that would lie about their grades and use not just “Urban”, but purposely incorrect English so that they would fit in more easily (i.e., not beat up) outside the “smart/adavanced” classes (which were really just grade-level in most other schools) –God forbid anybody seem like they actually tried and actually received good grades (they’d be targeted) . I also had friends that were ridiculed even in their own homes (by parents, grandparent and siblings) for “acting proper” and “putting on airs” for reading “fancy” books (“who do you think you are? !”) , etc. I swear on my life –I wouldn’t believe it with my now-middle-class eyes and ears if I hadn’t seen and heard it first hand.. This kind of thing really happens, even today –“The Prison of Keeping It Real” as some social critics call it, at the expense of academic achievement. Re: the screaming teacher post. I teach and rarely raise my voice. There is no reason for it in my room. My students know my rules, know the rewards and consequences, I have an administration and parents that back me up, end of story. I, too, have zero patience for constant screaming. The once-in-a-while mess up is one thing, the all-the-time thing should not be allowed. I have seen schools where students act with a mob mentality even in the youngest grades, where there is no support from anyone and teachers do whatever they have to do to merely survive. But in most normal situations, screaming is just lazy and bad classroom management. What makes me crazy too is my colleagues (hesitate to call them that) who belittle ESL kids for not speaking proper English or not speaking at all, or who talk down to parents, or who get into shouting matches with parents. I hope my principal uses the power she will have come this fall with SB7 and fire those teachers. Two bad ratings in a 7 year period of time and tenure or not, firing becomes a very simple process. As far as university affiliations – I was thinking in terms of low cost or free resources (funding and manpower) as opposed to creating a mini U of C. I’m sure support does make a difference. No doubt that struggling kids will need a lot of TLC to even come close to making it. I understand that peer pressure is one element that holds kids back but I honestly believe that this is a changing tide particularly in charters that take a no-nonsense approach. I, too, volunteered in a public school in a housing-project area and observed (weekly) teachers shouting at kids as they moved from room to room. In fact, it seemed that out of the already-short day, probably 10-15% of the time was spent changing classes and getting screamed at for not staying in line, not being quiet enough, etc. It was so sad. These kids were 6-8. I love to hear parents supporting neighborhood schools. I have young kids that are in CPS system. I have always believed and even more so now that teachers and school contribute only so much in the success of the child. The other half is family and parents in particular. All of the successful neighborhood schools may have good teachers and principals but they have strong parent involvement. We have had such a positive experience with our school and it saddens me to know that schools in not much great areas not do well. It really comes to social economics factors. Good luck to the parents who want to turnaround a neighborhood school. This could easily take 8-10 years without cleaning house of all existing teachers. Unless you don’t have kids yet and plan to live in the neighborhood for a VERY long time, it may not be worth it. Why would U of C work with CPS to turn around Shoesmith? Part of the reason they can charge tuition in the five figures is because of Shoesmith! If they helped to improve it, they would be shooting themselves in the foot. Duh! Nettlehorst really took off by shutting out the bussed students who were at a safe underperforming school the neighborhood didn’t want. Meyer got a more than one-two million dollar federal desegregation grant and promptly violated it’s termsof beingsa ctiy wide rescource to create a neighborhood school. Is that success? These are not realistic models for Hyde Park because you can’t kick out the kids who live nearby– or get a federal deseg grant if the feds don’t want to give them anymore. Sun Times story prints the test results for all campuses of Chicago charter operators, for the first time in a decade. Upshot: charters perform below the average traditional public school. Only Noble Street charter does better. @47 re: charter school scores — I’m glad they finally released them. It’s not looking great for the charters. It’s a mixed bag of results, but mostly they seem to be just matching or even underperforming citywide averages. The problem with measuring charter school kids’ progress is that we will never be able to compare how that same set of kids would have scored without the benefit of the structure and additional instructional hours they got in the charter setting. It’s funny how the discussion in the Sun Times article keeps circling back to franchise operations like Holiday Inn. I guess many parents do simply hear “charter” and think that it’s like a nationwide franchise, with a guarantee of quality and high standards. @47 the article states that many charters “perform below the AVERAGE traditional public school. They do not discuss how a particular charter performs in relation to the neighborhood school that would have otherwise accepted those kids (as mentioned in 48) or gauge such concerns as safety which in many cases is the prime concern for parents looking to place their kids in charters. There seem to be some charter parent posters here that like their schools and feel positive about them. I wonder how I would feel as a public school parent looking for support from this site if I had to constantly battle the critics comparing generalities about charters vs. CPS. @45 – I don’t think U of C is in danger of competition from Shoesmith. Looks like this school has a good footing and some assistance with creative programing could make a world of difference. Wow, this is really interesting about the charters! I would agree that a comparison to city-wide schools seems a little unfair, as the original charters seemed to be set up to draw in kids from at-risk (socio-ec) groups. Are these kids performing better than kids who stayed in the neighborhood schools? Are the charters providing a better, safe learning environment even if they *don’t* perform better? I am kind of surprised about the income numbers. I expected to see more low income kids in these schools. I also wish someone would correlate income and ISAT scores. I see CICS Irving Park at the bottom of the low-income list and top of the ISAT score list. I’d also like to know the rate at which these schools counsel kids out (as we hear about.) Are some willing to keep low performers/poor behavers and work with them while others are more score-focused and urge kids to leave who can’t cut it? At work every day I urge clients not to make decisions based on one number (which is so much easier to do than digging in deeper) and I think the same applies to these schools. I wish we had more stats to help paint the picture. I also still would like to know what the cost is to the city for a charter seat vs a new non-charter seat. Why can’t CPS just open more magnets? Isn’t that basically the same thing as a charter? cps mom, aren’t you a public school parent? At Coonley, the RGC was launched at the same time the school got a massive makeover and new school grounds that made it very appealing. The principal was very strong and knew how to talk to parents. The neighborhood already had a strong Friends-Of group who had started impressive fundraising efforts. And… the school is located in a Tier 4 neighborhood. I think the school would have done just fine without the RGC. Perhaps South Loops was the same way – a strong growing neighborhood base combined with an RGC? Catalyst story by Sarah Karp on charter operators, with comment by Rod Estvan. We are not in a charter school but I support charters and have seen them do good things. I think that parents looking to do the best they can for their kids do not need to battle the “anti charter” sentiment that often comes across in some of these posts. A little bit of consideration here please. My understanding of South Loop is one of changing demographics; feel free to correct me. South Loop originally enrolled many children who lived in nearby projects. In the 1980s new development began to bring the middle class. CPS added an RGC to SL to serve the needs of both types of students. In time, the area became wealthier and the projects were dismantled. The new neighbors couldn’t all get seats at the RGC. Its usefulness was over. It’s about time that charters are measured in the same way that traditional schools are measured. Their scores should be available each year. So should their budgets. If parents have the right information, we can make the right decisions. Charters shouldn’t be oversold. You call that anti-charter; I call it common sense. I think a new RGC in the city is a great idea, but don’t think Shoesmith is the right school. Shoesmith is in a Tier 4 neighborhood (surrounded by beautiful mansions, rowhouses, and huge, restored condos, from 51st, to 47th & Ellis, to Lake Park. However, Shoesmith is K-6 and all other RGCs I know of go to 8th. Also, Shoesmith doesn’t seem to be underenrolled to me (though I don’t know for a fact). The school has two mobile units next to the school that serve as classrooms. The units look pretty beat up, btw. So, I don’t know where there would be room for RGC classes. Also, Carnegie (located near 61st & Dorchester, roughly?) I think has RGC classes. I doubt CPS would put two programs so close together. There is a huge money gap in the Shoesmith area. there is a significant number of people who are very wealty, a significant number who live on the edges of the Shoesmith area that are low income/in subsidized housing, and a small number of middle/upper middle class families. In my opinion, the vast majority very rich probably wouldn’t consider Shoesmith, even if it was a great CPS school b/c they are Lab/Ancona/Latin/Parker families. The low income families have no other choice by Shoesmith and don’t have the connections/political weight/etc.. to make Nettlehorst happen. The middle/upper middle class families (of which I’m one) could be the difference makers in turning Shoesmith but the questons for them, is seems to me, are (1) are there enough of them to make a difference at the school, (2) is the school going to be responsive, (3) is it worth the risk for their kids, (4) do any of them have the Nettlehorst-type connections, (5) and is it worth the effort knowing you’ll have to do it all over again for middle school b/c Canter MS is not a good option? Not long ago, I had to think through these issues about Shoesmith, and decided it was better for my family to do the CPS magnet/RGC/classical lottery, or pay for Catholic school because Shoesmith seemed too much of a risk. I still wonder what it would be like to try & make it appealing to the neighborhood, wonder if I made the wrong deicision and should have fought for Shoesmith instead of finding another school outside our neighborhood, and can’t tell you how many of my neighors who made the same decision I did say how they wish we could have our kids all the same school, right down the street. If marketing/branding plays a role, what about renaming the school Barack Obama Elementary… the Obama home is 2 blocks from the school and it’s where the president votes. Would something like that start a school transformation, or is that just a different label and nothing more? Maybe a better comparison is the safety factor of a Charter H.S. vs. a neighborhood H.S. Many parents whose kids can’t quite make the SE cut-off numbers look to Charters as a way to keep their kid safe as well as educated. @58 Shoesmith Neighbor – First of all, kudos to you and your group for taking steps to support Shoesmith. It’s absolutely an enormous task to change the culture of a school, something I didn’t really understand until I finally read the Nettelhorst book a few months ago. What really struck me was all the hundreds, thousands of details that were involved, from removing locks on windows to training the office staff to be friendly, to the quality of paper and design of the communications sent home to parents. Incredible. It seems that you have a similar sense of what needs to be done at Shoesmith, including thinking of things like renaming the school to re-brand it. I think it’s a great idea and have no clue what would be involved with that, but why not look into it? At no time like before, CPS schools and administration are not only open to input and involvement of parents, but they’re actively seeking it out! So now’s the time to bring up every “crazy” idea you have for discussion, and figure out ways to make them work. I’m wondering what would be needed to reinvigorate the neighborhood schools in Beverly: Kellogg, Sutherland and Clissold. These all have an achievement gap. Any suggestions on that? Oh, and the neighborhood high school for that area: Morgan Park H. S.
I’m just wondering, where were the teachers and school administration when all this was happening? Did they know about it? Did they try to change this kind of thinking and convince the kids that studying and being “smart” is good after all? Okay, so here are my words now, not Estvan’s. The reason Crane kids will never be sent to Ogden is that Crane is a high school with a very large low income, minority, strong gang affiliated, dismally low achieving student population. If Crane kids went to Ogden, that school would be left empty. Every single person would pull their kids out. CPS knows this. So, instead Crane kids will go to Wells, bring their gang crap with them, create a ton of violence, bring down the school even more and CPS will likely have to close Wells then at some point. When will our system and our city realize that kids living in poverty, in crime ridden and violent areas, with families who can’t give them support educationally need a very, very different kind of school? Class sizes of 8-10, tons of psychologists and social workers and reading specialists, mentors, one-to-one daily tutoring and ESL teachers and sped aides and much more might work over the long haul. There is no quick fix, no “Dangerous Minds” set of superstar teachers that can do it in some schools that we now have. Our kids are dying, failing, losing out and yet we keep assuming that the worst urban schools can be fixed with simplistic solutions. If we keep doing what we’ve always done we are going to keep getting what we’ve always gotten. Please feel free to move this post to any other thread that might be more appropriate. I couldn’t figure out where to put it. @53 Sorry.. I wasn’t serious at all about adding the RGC to Shoesmith. I don’t find Nettlehorst a “miracle”. They got rid of the many poor out of neighborhood kids as soon as they possibly could, talked as many people with plenty of education and no options from any corner of the city into the pay preschool until they could relax all the neighborhood types ( I visited the preschool the first year they took apps. They were a little too scary excited to see a well educated curious parent no matter where I was from) who wouldn’t touch the place until a year or so of other guinea pig classes got going and then did some massive fundraising with their huge connections and yes plenty of drive. Hyde Park is such an extremely mixed community in every way. All those poor kids turn around miracle schools decide to send off actually live in all the boundaries. There are so many creative people there I hope they can really make some changes. I think it’s great that Hyde Park has organized a community discussion about improving the schools. From what I understand it isn’t just Shoesmith that the new organization is talking about. Their solutions will need to be much more deep and real for they will need to take into account kids who cannot be denied a place at school because of where they live. @65.anonymous: Ogden High is not a neighborhood school. The admission is based on point system that includes grades and ISAT test results. Why should Crane kids get a free pass when everyone else has to qualify to get in? Good for you to be working hard to turn Shoesmith into a great neighborhood school. Hyde Park is a fabulous neighborhood to live in and ALL of our schools should reflect this. Ray also has a new principle and assistant principle and they are hard working and fantastic. I can’t stop talking about them to other parents on the playground- I too am marketing our neighborhood school in every way that I can. Ray has a great energy now and a lot of parental support (a bonus of drawing from kids in the immediate community). U of C absolutely works with HP CPS schools, as does the Hyde Park Art Center. We have a lot of resources in our neighborhood so you should reach out to everyone and continue to spread the word about all of the positive changes that are being made at Shoesmith. HPMom! – I’m looking for great afterschool and weekend activities for a smart, energetic, artistic Hyde Park 8th-grade girl. Could you point me in the right direction? We’re new and don’t know anyone yet. @70 Check out Marwen on Orleans and Chicago (not in HP but in the loop). They offer awesome art classes for teens. There is a process – attend an orientation etc. Check them out on line. As the economy has tanked, there is definitely more and more interest in neighborhood schools as not everyone 1) is guaranteed admission to “better” magnet schools, 2) can afford private tuition, and 3) can sell their current condo/townhome/house and move to a neighborhood with a “better” school. Many of my neighbors whose plan it has been all along to move to the surburbs by the time their kids are in kindergarten are now starting to freak out that their grand plan may not materialize. Although we live in Lakeview, our neighborhood magnet cluster school’s population is only 1/4 neighborhood kids – the other 3/4 come from neighborhoods further west. Our school is Jahn World Language School. While it’s performance on ISAT testing and attendance rates has improved impressively and dramatically over the past 10 years, the school is comprised of 85% low income kids, which has been a turnoff for many of Jahn’s neighbors. The school, however, has a very impressive Principal and Assistant Principal who would like to boost enrollment of neighborhood kids. There is a group of neighborhood parents who have gathered together and are starting to spread the word about how great the school is and how neighborhood parents should consider it as a very viable option for matriculation. The group is called Jahn Community Outreach Committee, and they can be reached at jahnoutreach@gmail.com. @31 AND 32 – You are kidding right? There are more partnerships, more “out of the box thinking” (really, we still say this?) in education than in any other field. Sadly, partnerships and out of the box thinking don’t educate kids. Teachers and parents do. @75 and yet you wonder if your child’s education is good enough. @74/29…FWIW, we made the switch from CPS to a strong suburban school district last year (my kids were in 4th and 5th grade) and while I wasn’t worried about their transition (academically at least), my mom was really nervous. She seemed to be fearful that they would be way behind. Alas they were not. They were A students at their CPS school and transitioned easily and became A students at their new school. Seems as though their CPS school stacked up. @77, thank you! That is really good to know. I guess I still somehow envision suburban schools (at least the “best” ones) as doing more projects and fewer worksheets since they have smaller classes. I’m sure it’s a grass-is-greener things. I know nothing about that neighborhood so if anyone has insight, feel free to share. Thanks! I have to say, the online Application was pretty easy to work with. I put down a few magnet schools just for fun (I know, I just bumped people down 1 spot on some waiting list) but I figure if I’m gonna write about the process, I better give it a try. I tried think if there was any neighborhood school I was pining for but was pleased to say that nothing came to mind. I have no interest in moving my son, but it was nice to know what there wasn’t any 1-2 schools that would even tempt me. I was just telling someone recently that I think that I have heard at least one parent’s negative story about every single “great” CPS schools (and many expensive privates too.) Schools are such a personal choice. What is great for family can feel wrong for another, and just like most things in life, nothing is perfect. Man, that was philosophical for a Sunday morning…. @79, re “What is great for family can feel wrong for another, and just like most things in life, nothing is perfect.” The same can be said for city vs. suburbs. And back to your #78 comment, the class sizes are smaller here in our suburban school and yes they are doing more “projects vs. worksheets,” as you put it. I think the key is that the kids got the foundation they needed from their CPS school to make the transition so seamlessly. The other major difference is that there’s FAR less pressure for parents to raise major funds. And while you might think that only affects the parents, I think the kids do feel that pressure, too, either from teachers verbalizing their fears about losing resources or by parents lamenting about writing yet another check (guilty as charged!). So I’d say there’s a much calmer vibe overall in our suburban school with that element removed from the equation. Schools are like everything else – what one person thinks is great another thinks is crap. Like you say, every great school has its detractors and every bad one has someone saying their kid blossomed and ended up going to Harvard (OK, more likely University of Illinois but you take the point). Go look at your favorite book on Amazon, someone somewhere thinks it is drivel. @75 It takes more than teachers and parents to maintain, grow and support education. The additional funding that magnet schools get allow them to have an extra teacher just for reading, language and science labs, on line workbooks etc. Funding from donors could definitely make a difference if utilized properly. I think about some of the things that I looked at when considering a school back in Kindergarten. I went to many open houses to be told that we had little chance of getting in. When comparing schools I looked at little things like orderly lines as opposed to free-for-all between classes, how the kids interacted with one another, general attitude of teachers and admin. A few principals spoke to all parents as if they were welcome and invited them to the community others came off as being on auto pilot emphasizing how difficult it is to get into their school. To me, the foreign language schools stood out as offering something more than those that had math, science and writing specialties. With regard to Shoesmith, Partnerships could be a wonderful thing. I would consider a neighborhood school that offered foreign language (not just one but 3 or 4) and could demonstrate that the school is academically challenging and safe. Consider partnerships with the University that would provide a pull out program for science using the labs once or twice a week. Send qualifying 8th graders to a supporting high school for Algebra. Create incentives for kids to strive for special programs – minimum C grades, creative essay. Call me old fashioned but “out of the box” to me means creative thinking especially at a time of funding shortages. There seems to be a misconception that Nettelhorst doesn’t want for anything. Actually, they laid off their music teacher last year or the year before (they had to choose between the dance/drama teacher or the music teacher), and every year, they raise about $100K to fund two positions (a teacher and an aide). They’re currently $40K short for their latest fundraiser (earmarked for those two positions). Is it easier to raise funds when you’ve got connections and when “only” a third of your population is low-income? Yes. But the parents are always hustling for money: It doesn’t just drop automatically from the sky because the neighborhood has gentrified. The comments about Nettlehorst vs Shoesmith’s neighborhood are a hoot – anyone ever see the sizes of the houses around the school? And doesn’t the president live a few blocks away (when not in DC)? It’s mostly Tier 3 & 4 in this area. If you are just proactive and think outside the box, we can run this mission-critical project, bringing to the table the high-level learnings and actionable items we plucked like low hanging fruit after the elevator pitch that dictated our next steps. One that didn’t make the list but that drives me up the wall is “ask” as in “I have an ask for you.” People, the word is “request.” I have a request for you, and I need to ask you a question. I’m not sure why these types of phrases get picked up and thrown around at corporate meetings. Some people think they originate in dark corners of human-resources departments, which makes sense because too many of us work harder at trying to sound smart than at actually being smart. Somehow we got the idea that the right phrase will make our ideas sound better. And perhaps they do — if you’ve got a boss who babbles about thinking outside the box, it makes sense to present your ideas as ones not confined within cardboard. Which leads me to a question? What’s so darn bad about the box? Boxes are good. You can carry a lot more inside a box than outside. Things that fit inside a box are more easily mass produced than unique things anyway, and mass production can lead to profit. Seems to me that thinking within the box snags you some low hanging fruit. Ahem, sorry. What words or phrases drive you up the wall? @19, Mayfair Dad, I know I’m really late in responding and you may not even get this but I just wanted to let you know that Friends of Shoesmith (FOS) has already undertaken many of the projects you mentioned. We’ve written a grant to fund two gardens, one vegetable garden, one butterfly garden. We’ve secured a greenhouse and built an outdoor classroom. We meet monthly with the principal to discuss additional ways to help the school. We provide tutoring to struggling students in reading and math, childcare during Literacy Nights, and volunteers during outreach events. We’ve raised funds, hit up businesses for donations, and have started partnerships with the University of Chicago. The school has partnerships with the SMART museum and the Hyde Park Art Center and we have various U of C acapella groups who have come to sing to students in the morning in an effort to start the day with song. We’ve secured a grant to have Chicago Arts Partners in Education to send us an artist who helped students create a mosaic on the front of the building and are still looking for ways to continue to beautify the school. Our work is no where near done and it’s so much more than marketing, I agree. However, the school, Shoesmith, is located in an affluent neighborhood surrounded by beautiful million dollar homes but no one from this neighborhood attends the school or has really made any attempt to go inside the building to see what it’s about. ISAT scores have gone from 47% proficiency in 2004 to 74% proficiency in 2011. That’s significant improvement in the past decade. But whenever I talk to other HP moms and mention Shoesmith, they just say, “Oh, I’ve heard that the school is bad and to not send my kids there.” So, a large part of our issue is marketing and public perception. Although it is not the only issue. The school is currently majority African American. It needs to become more diverse. We are trying to build a critical mass of neighborhood parents who are willing to throw their lot in together and enroll kids together in Shoesmith kindergarten. My child is not yet two so I still have a few years before I’ll decide what to do but I figure if I can put in three years of work, even if it’s still not good enough for my kid, at least I’ll have made a significant, positive impact for the kids who currently go there. I just believe that everyone would benefit from a more diverse student body and that no one benefits from a racially isolated school experience. Is there a target year for when this critical mass of neighborhood families are aiming to enroll their kids in kindergarten? I’m a resident with kids (some in CPS schools now, some will be in a couple years) and am curious about improving Shoesmith. Don’t know if you’ll get this, but I thought I’d ask. I’m also interested in the meetings/tasks that FOS is involved in. We’ve not gotten so strategic as to identify a target year as of yet but I do know at least one person in our current group who is considering enrolling her child next year into kindergarten. I’d love to talk with you more about how to get involved in Friends of Shoesmith. Our next meeting is on January 11th at 7:15 PM at Shoesmith. Please do come and attend! We’d love to meet you. After reading the list, I would say that I am a Friend of Shoesmith and parent who would be delighted if my home school added a RGC or other socioeconomic filter (essentially, that’s what those designations are). 1) It is not a race issue. Local families of color are walking past Shoesmith to Ancona and Lab, driving to FXW/Parker/Skinner North/West, etc. It is a socioeconomic issue. Local families of color are using the playground and are well aware of the social norms of the current student population (not just kids but parents and staff). 2) It is not a true neighborhood school, in my opinion. The school administration admits to 30% out of boundaries. A staffer mentioned one family living in Indiana that was allowed to finish the year out. I think the numbers might be higher if there were an audit. And frankly, I saw way, way more parents out guarding the cross walk in Gage Park a few weeks ago than I ever saw at Shoesmith. Maybe the Shoesmith parents don’t live in the neighborhood and can’t stick around to help, or maybe they think Kenwood is safe enough that they don’t have to volunteer to help the kids cross the street (but they do). 3) The school is getting an amazing amount of charitable resources, including from the University of Chicago. The school still hasn’t met CPS averages. Compare Shoesmith to a demographically similarly situated school like Ariel. So, Shoesmith has a captive audience that is happy enough with what is going on (safe school, lots of enrichment, nice park) and a racially diverse, high SES neighborhood that has strong expectations and lots of resources and choices (three excellent private elementary schools in walking distance, car ownership to drive 10+ miles each way to an acceptable school). There is some tension there but as a neighbor and parent, I would like to see the school be a truly diverse, truly local school and I think it can happen, but the status quo must change. And — here is the selfish, classist part — I’d really like to be able to take my kids to play at the playground without keeping a wary eye out for fights/toy and snack snatching/extreme language/racist comments. Any change that would lead to higher behavior expectations and a more involved parent population would be lovely. So even if the school were given over to a model that we as a neighborhood probably couldn’t all test into (Skinner North), I think the community would be better off (increased property values, parents willing to handing the crossing/supervision, kids not being thrown out of the car at 7 am in winter with idle hands to occupy–according to the former principal, etc). I was a Nettelhorst parent for 4 years and can say it is a wonderful, though not perfect school. Ms. Wulbert, the principal is great; hires good talent and works hard to get resources for her students. The “movement” at Nettelhorst was successful because a core group of parents sent their children there and local businesses were willing to donate money or in-kind donations to the school and embrace it as part of their community. Further, the core group of parents, primarily comprised of highly educated moms, spearheaded the fundraising efforts at the school and got the community involved. The alderman was also enthusiastic about the plan and was very supportive. Further, parents who volunteered were assigned “jobs”. One person was responsible for looking into grants, another worked on curriculum, a team worked on the annual fundraiser. An online donation system was set up. The Blackhawks were approached to partner with the school and they donated time, equipment and tickets to their games. The Stanley Cup even visited the school. Many of the fundraising ideas were gleaned from private schools and used successfully at Nettelhorst. An incredible after school program was established by one parent and aftercare through the Jewish Community Center provided until 6:00 p.m. While many parents there are affluent, many are not. However, it helps to be located in a community that is concerned with self improvement and which has embraced the school. Caribou coffee gets a lot of business from the teachers and parents, as does Abridged bookstore across Broadway which has a great children’s book section. Additionally, gay couples began to enroll their kids in the school (we are in “Boy’s Town” after all) and some of these couples are very successful and through one of those couples a relationship with Nate Berkus turned into a new kitchen for the community room of the school. However, many affluent and not so affluent families have moved on from the school. My son is now at Pritzker for the sole reason that he was not academically challenged at Nettelhorst. Any proposal of starting a RGC or “tracking” has failed. Any enrichment is offered after school or on weekends. This is the primary reason the school loses many families each year. I understand this philosophy but, like many other parents, were very concerned about the lack of challenge. Shoesmith needs a core group of parents to send their children there as a group and actively fundraise for and enhance the school. The school has to become an attractive option for neighborhood families. Further, if parents can donate “in-kind” — such as space for a fundraiser — or parents have a relationship that they can exploit — know a professional athlete, entertainment personality, etc. this can be used to build a partnership with another organization — such as the Bulls or Bears, which can really help with PR and from a financial standpoint. I hope it works. It sounds like the school has a wonderful location and some committed parents. The interesting thing I found about Nettlehorst is that their standardized assessment score aggregates are not as impressive as their parent organization. ISAT Exceeds (Meets is a low bar, I wonder how Exceeds compares internationally as far as the definition of “at grade level”) in Grade 8, and Exceeds overall for all grades were lower than I would have expected given the press about the way this school has improved over time. I was intrigued by SuperU’s comment, and looked at last year’s test scores. Nett is lower than Bell, a very respected school in the area, but at 87% meet/exceed is higher than Pritzker, the school a parent on this board moved their child to. Anyway, test scores are important and all, but the school experience had better be about a lot more than test scores or the system – and that parents — need to broaden their vision. I get the practical value, but the equation is (thankfully) more complex than just test scores. That’s awesome! Thanks for posting. In response to #31: This is a misconception. I am a long-time Hyde Parker and know many Lab School families. University affiliates and faculty do not get a free ride to Lab School. They receive half off as a benefit from the University of Chicago. The university pays the other half to Lab School. It’s a really great benefit. So, contrary to what you claim, non-affiliated families are NOT paying for the affiliated families and this is not why Lab School is currently expanding so dramatically. Lab tuition has increased approximately 30% across the board over the past three years. The price of the half-day kindergarten program has doubled since 2007. Many Hyde Park families and faculty (particularly those with multiple children) who would have stayed at Lab through high school are now being priced out. These families are moving to Ray, going through the process of applying to CPS academic centers or the selective enrollment CPS high schools. The University uses the tuition benefit as a faculty recruitment tool, but this is becoming less and less attractive as the current half-off price is still approximately $13,000-$14,000 per year per child. Perhaps the university will begin putting some of its resources into helping Hyde Park public schools (Ray, Harte, Kozminski, Murray, Shoesmith, Kenwood) as Lab becomes unaffordable? and my personal worst one is “teacher as facilitator”……. Why do you hate word walls? Or do you just hate the phrase? Word walls were a big deal back in the 90’s and while everyone uses them now, I don’t think a lot of people talk about them that much. Are there any Shoesmith parents who can fill us in on how it’s going? I visited this year and loved the feel of the school. I’d like to know how it is academically, particularly how the teachers are. I’ll consider it for my upcoming kindergartener. The kindergarten teacher at Shoesmith is outstanding. She teaches kids about world cultures, she is very positive and responsive, and she absolutely loves gardening and has started a worm farm and composting bin with her kindergarteners to supplement the garden programs. You should come to an upcoming Tot Time to meet her. Go to Shoesmith.cps.edu to see the calendar of upcoming events. Shoesmith is now Well Organized for Improvement according to the Five Essentials My Voice My School survey that measures Effective Leaders, Collaborative Teachers, Academic Rigor, Parent Involvement, and Supportive Environment. According to the new performance policy, we are projected to become a Level One school next year. Yes, the school is not yet where it needs to be in terms of Meets or Exceeds, but it achieved some of the highest growth in academic gains in the Burnham Park network. The out from this neighborhood school is good. They have proven results. I don’t believe we will be disappointed graduation day.